THE PASSIONATE PRO-LIFER TURNED ABOLITIONIST: Roe V Wade was about Personhood: Abolishing abortion is too! Roe V Wade was about Personhood: Abolishing abortion is too! The mystery is why pro-lifers don't believe what Harry Blackmun and other justices raised during the oral arguments for Roe v Wade. This Youtube explains. 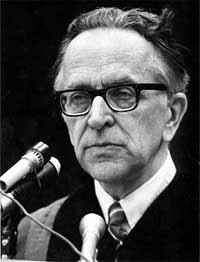 Blackmun said if "personhood" could be established for a fetus, then "the fetus' right to life would be guaranteed" by the 14th Amendment to the U.S. Constitution. PersonhoodUSA.com explains, Person n. A human being. "A person, simply put, is a human being. This fact should be enough. The intrinsic humanity of unborn children, by definition, makes them persons and should, therefore, guarantee their protection under the law. For more than thirty years, however, this has not been the case. The situation we are left with is this. In America today, there is a huge and singular group of living human beings who have no protection under the law and are being killed en masse every day. Is that not astounding?! It is astounding, but not wholly unprecedented. There have been at least two other instances in American history in which specific groups of human beings were stripped of their rights of personhood as a means of justifying their horrible mistreatment. African-Americans and Native-Americans both felt the brunt of a system which denied their humanity, stripped their personhood and subjected them to horrors beyond measure. While the legal framework that made such injustice possible has now been removed, it remains firmly in place for unborn Americans. There remains one, and only one, group of human beings in the U.S. today for which being human is not enough. The inconvenience of their existence has resulted in a legal loophole of shameful proportions. What is a person? A person is a human being (unless, of course, you haven't been born yet, in which case we'll define personhood in any way possible so as to exclude you, kill you and forget you)."